Eleaf iStick Melo is a compact dual 18650 mod with the maximum 60W output. It features long sustainable 4400mAh, 0.49-inch top screen and 2A quick charge. 5 classic colors for your selection. Powered by dual 18650 cells, Eleaf iStick Melo can support the maximum output of 60W with various working modes, satisfying different vaping needs. With the compact and ergonomic size, it’s easy and comfortable to hold. 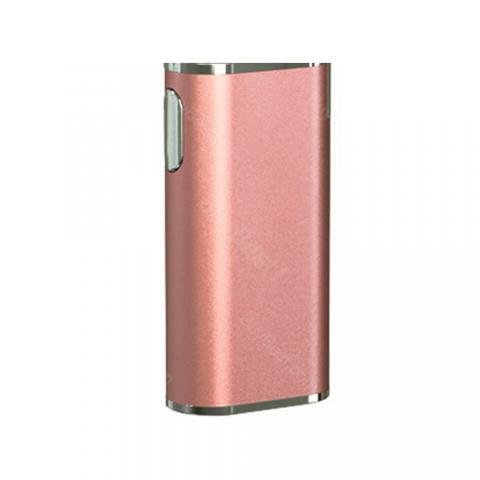 It features a long sustainable 4400mAh inbuilt battery for whole day vaping. The 0.49-inch top screen shows all vaping data directly. Together with 2A quick charging, easily accessible charging port and dual circuit protection, Eleaf iStick Melo can bring you a simple yet powerful vaping experience. • Quick Links: iStick Melo Kit/Melo 4 Tank. Preis-Leistungs-Verhältnis ist super. Eleaf iStick Melo ist smart, schön schlank und gut im Handling.